​​Our focus is on providing quality produce in coordination with eco-conscious practices that are efficient and ethical. We never use pesticides and only grow Non-GMO and/or Heirloom Seeds. We are fully devoted to the Sustainable and Local Food Movement and as our business grows we never sacrifice quality for quantity. We only grow non-gmo or heirloom seeds with focus on flavorful and unusual varieties. All our seeds come from either Canada/ US depending on availability and price. We believe wholeheartedly in preserving the genetic diversity of seeds because as we like to say "mother nature knows best!" Pest levels are managed through a mixture of companion planting, crop rotation, timing, hand removal and attracting beneficial insects. Our main nemesis are the potato beetle, cucumber beetle and flea beetle. Companion planting works by repelling harmful insects due to certain secondary metabolites that are released by companion plants e.g marigold & garlic. 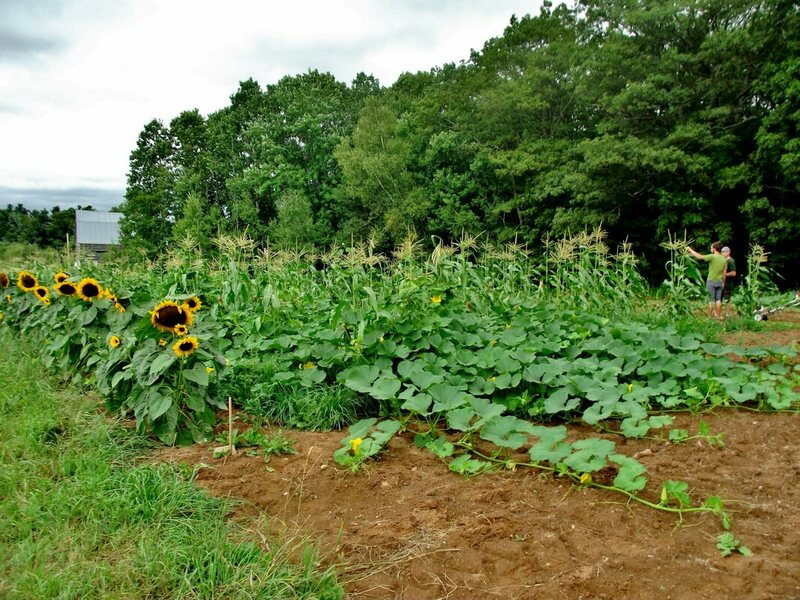 Crop rotation helps interrupt the breeding cycle of pest by removing host plants. Timing is a bit more hit or miss since every season varies but certain pests like to breed at specific times, so if you can coordinate plantings to help plants that are attacked by pests, this can reduce pest populations. Hand removal is pretty much what it sounds like but requires you to be familiar with all stages of a pest life to enable you to identify them as an egg, nymph or adult. Lastly, attracting "beneficials" can be done by providing habitat and food sources; usually the food source is the pest you are trying to get rid of . Habitats can be made a variety of ways. We mulch with hay giving them the ability to hide and reproduce in close proximity of our plants. We also leave large margins of overgrown plants/"weeds" in between fields to continually attract more beneficial insects in our fields! Weeds are managed through mulching, flaming and hand weeding. This part of management is the most time consuming aspect of our farm. Each year we are trying to shrink the amount of land we use but grow the size of the harvest till we reach efficiency. Each type of weed management has its pros and cons. Mulching can pull nitrogen from the soil which means more applications of compost are required. Flaming requires precision in order not to damage crops nearby but is quick and thorough. Hand-weeding is the most time-consuming but allows you time to monitor crops for pest and disease problems. 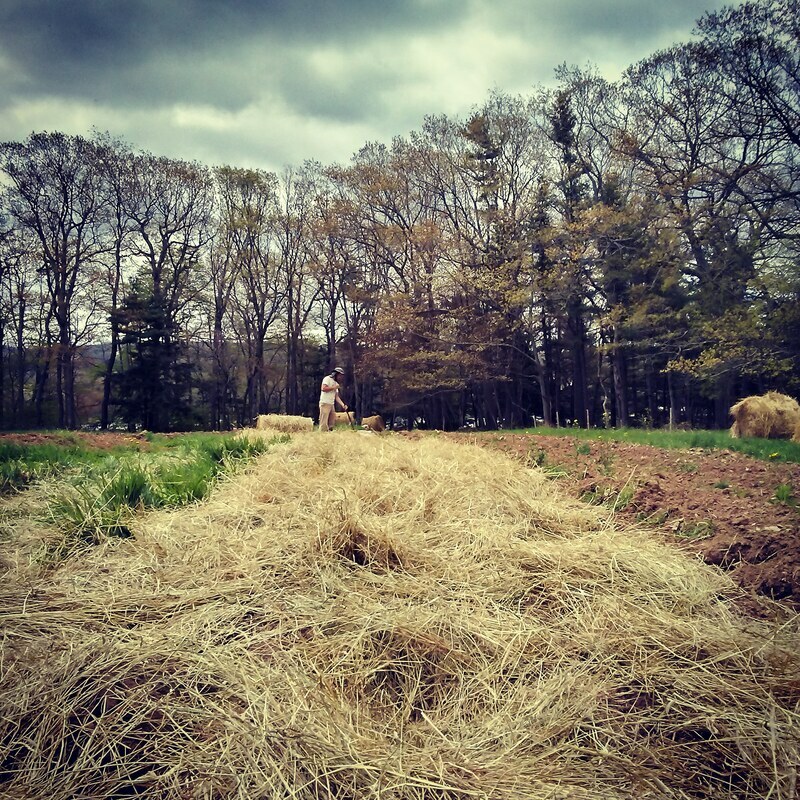 Fertilization comes in the form of cover crops, compost teas, compost and pasturing cows. Compost/Teas are made in various locations around the farm with a mixture of manure and plant matter from the farm, plus time. Cover crops are used to limit the amount of time that the soil is bare, this ensures nutrients are not absorbed into the atmosphere. 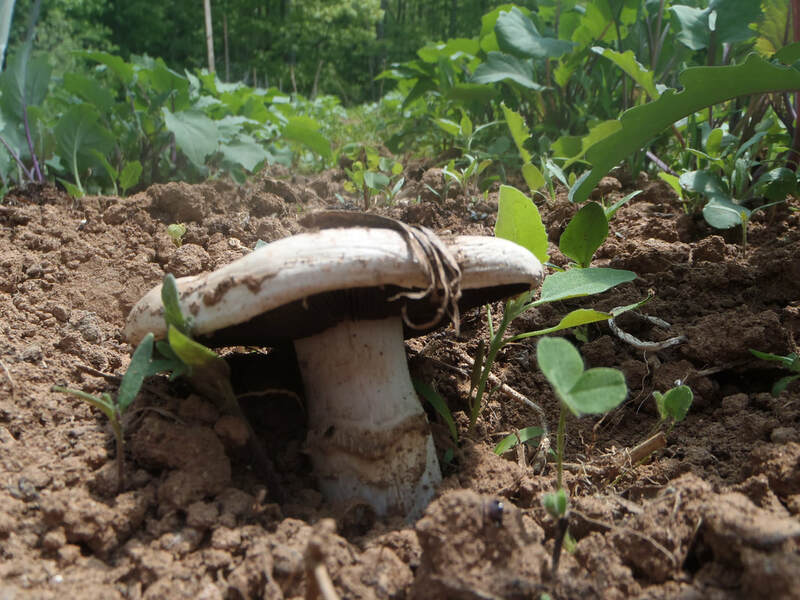 Certain cover crops provide additional nutrients such as nitrogen by harvesting it from the air around them and transportig it to the soil via roots. Micro-nutrients also can be harvested from deeper soils and brought to the topsoil via taproots. These taproots break up the soil and provide oxygen to micro-organisms that in turn breaks down plant matter and turning it into plant-ready nutrients! Blows our mind how awesome nature is! 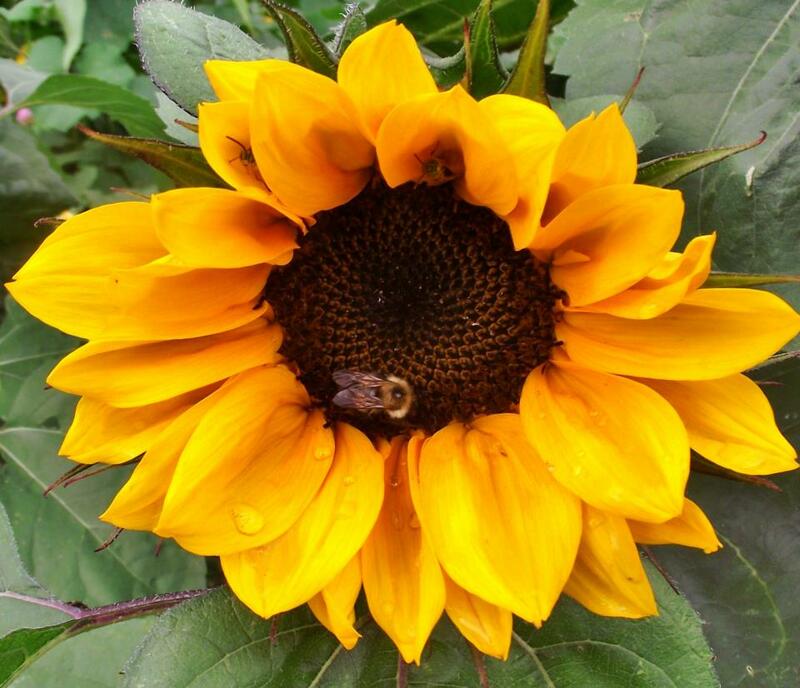 We are a Bee-Friendly farm by providing our bees and wild bees with an array of pollen and nectar packed flowers as well as maintaining the absence of harmful substances. Only very little honey is harvested in the spring once other food sources are readily available . This ensures plenty of time for the bees to replenish their honey for the winter ahead.